Butchers. “Sawbones.” Those were some of the nicknames for Civil War doctors. Did they deserve them? How have these names clouded our understanding of these individuals? 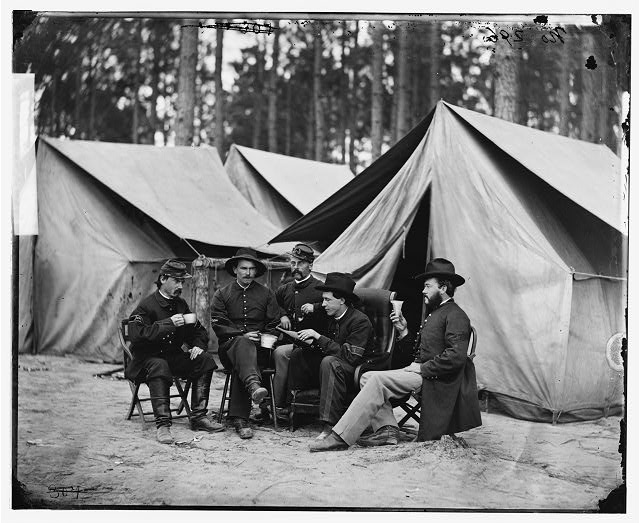 There are plenty of myths regarding Civil War medicine and the last one I briefly mentioned last week was “doctors were mean.” Today we’re going to explore the education, enlistment, experiences, and effects of Civil War doctors. Now, if you’re wondering why this is being discussed on “Back to Gettysburg Tuesday”, I’ll give you a hint. A doctor and his medical staff play a major role in the story Blue, Gray & Crimson so what you’ve been reading about Civil War medicine in the last couple weeks is just a little portion of the research which was the foundation for their characters and actions. The education of physicians prior to the Civil War was absolutely scary by modern standards. Many – especially in rural settings – did not attend formal medical school; they learned by apprenticeship. Physicians were good at prescribing medicine, diagnosing disease (but remember they don’t accept the idea of germs), bleeding, blistering, purging, setting broken bones, bandaging a severe cut, and possibly assisting during childbirth. Many had never seen a gunshot wound. The Hippocratic Oath would be come more important during battlefield experience than medical school for many doctors. Fueled by a desire to help the ill and injured soldiers and a quest to further their education in the medical field, doctors on both sides enlisted. Some left their local area as the regiment’s doctor, others were assigned to the position once the officers realized they had medical training. One of the great hardships doctors faced – especially early in the war – was the fact that their sick, wounded, and dying patients were people they knew from home. Being the doctor of the regiment from your area, meant they knew Private Smith and his family; when Private Smith was brought in from the battlefield and nothing could be done for him…the doctor’s burden and emotion strain increased. 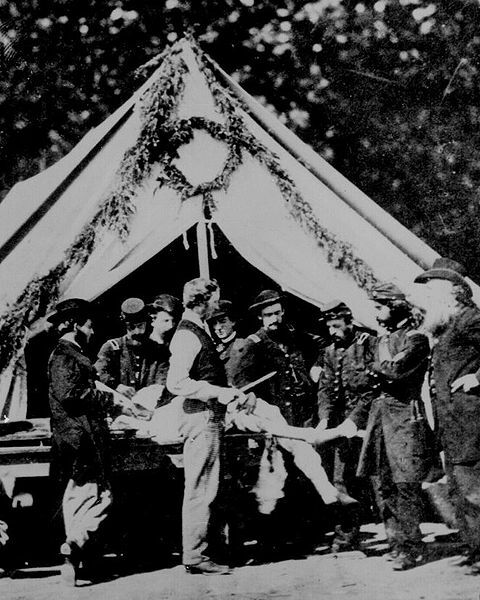 This is an amputation scene at a Gettysburg hospital. However, it is a staged photograph and everyone is looking very calm and controlled…so in many ways this is not a good representation of reality! 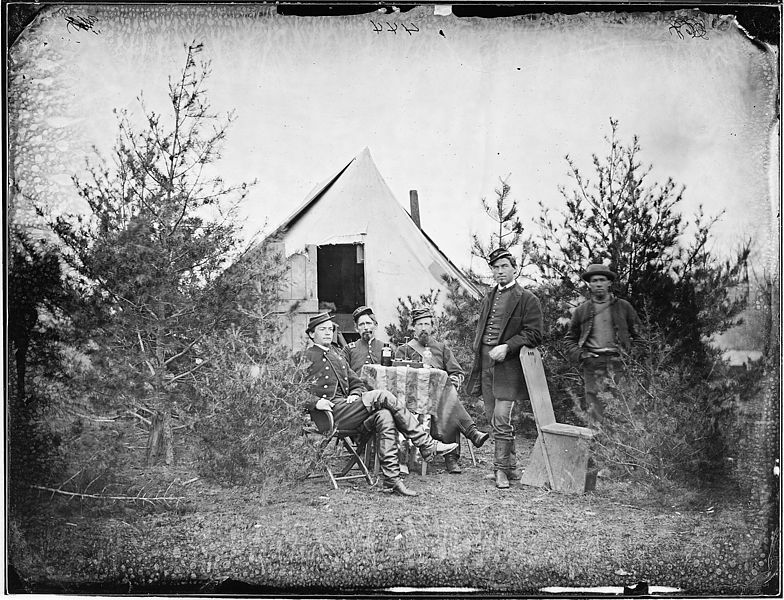 The experiences of Civil War surgeon varied. Not every doctor was allowed to be an operating surgeon. Only the very best and most skilled physicians were allowed to perform surgical operations. If a doctor wasn’t in charge of operations, he might have overseen the “first aid station” on the battlefield. He might have worked in a base hospital. (See From Battlefield to Home for a description of the Union medical system.) He might have managed sick call for the unit. Also, it should be mentioned that surgeon’s assistants and orderlies also played a major role in Civil War medical staff. However, since we’re address the “popular image” of the Civil War surgeon, we’ll focus on the actual “sawbones role.” As previously mentioned, the operating surgeons were chosen for their knowledge, skill, and speed. After battles, these men worked non-stop trying to save lives and their success rate is surprising. A soldier whose limb was amputated had a 75% chance of recovery (that’s pretty good, given the unsanitary conditions). Other wounds had varying chances, but the surgeons did the best they could with the knowledge they had. Surgeons worked quickly. They had to, when there were literally thousands of men waiting for operations. An amputation might take five minutes or less. In a post battle situation, a surgeon had no time between operations. One patient was removed from the table and the next was placed in front of him. The actual procedures were a combination of careful precision and sheer physical strength. (I will spare you the gruesome details.) A surgeon would be operating until a colleague took over his job, all the wounded were cared for, or he collapsed from exhaustion. Gettysburg died from exhaustion and health complications). And it wasn’t just physical fatigue – mental and emotional stain broke many surgeons. One doctor – after hours of operating – said he could not hold a knife and wept openly when he saw a wounded man. Most of the Civil War surgeons were selfless men. They were determined to provide the best medical care they could to the sick or wounded soldiers. They tried to ease the suffering, cure disease, and comfort the dying. Whether on the battlefield or years later, their attitude was: I wish I could do more. Let me ask you something: does a “hard-hearted” man works 20 hours to save lives? Will a cruel man sacrifice his own life trying to ease pain? Will a “brute” rush into a battle without a weapon to stop death by applying a tourniquet? The answer to those questions should have been “no” – an emphatic no. We “glorify” and “hero-worship” the deeds of soldiers who were shooting, bayoneting, and cannonading their brothers. Why do we berate the surgeons who were covered in blood because they were trying save their brothers’ life? I would like to present you with a new thought: The Civil War surgeon is the forgotten hero of the battlefields. With minimal training, these men enlisted to heal and they accomplished that mission in some of the most horrific settings and conditions in history. They didn’t leave their posts – and some gave their lives so others might live. That is heroism. P.S. Who are your favorite Gettysburg heroes now? Civilians, Surgeons, or Soldiers? There’s no right or wrong answer, but I’d like to know your opinion!